It’s Monday, 8 o’clock in the morning, and over the intercom you hear Mickey Leland College Preparatory Academy for Young Men’s principal, Dr. Dameion Crook, reminding students that it is blazer day. The students who are already wearing their blazers, with the school’s embroidered crest on it, sit a little taller in their seats. The others who may have forgotten, reach into their backpacks to pull out their slightly wrinkled blazers, and then get right back to work. 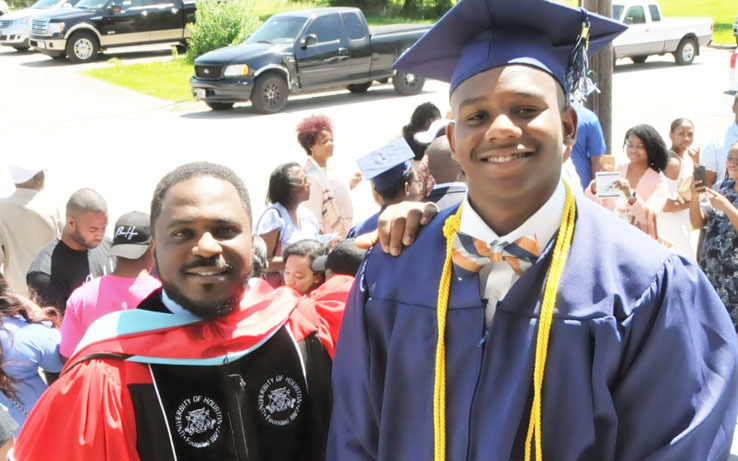 Being a student at the Mickey Leland College Preparatory Academy for Young Men (MLCPA) means rising to the occasion – whether it be how they dress or how they prepare for an exam. “This school has helped me find myself as a student and decide what I want to do with my life,” says junior Lyell Davis when describing his overall experience since enrolling at the school. Originally named the Young Men’s College Preparatory Academy, MLCPA is proudly named after Mickey Leland – a former U.S. Congressman and anti-poverty activist who proudly represented the 18th Congressional District before his untimely death in a plane crash. Leland, who grew up in Houston’s Fifth Ward, graduated from Wheatley High School – the very spot where MLCPA’s new campus is being built. 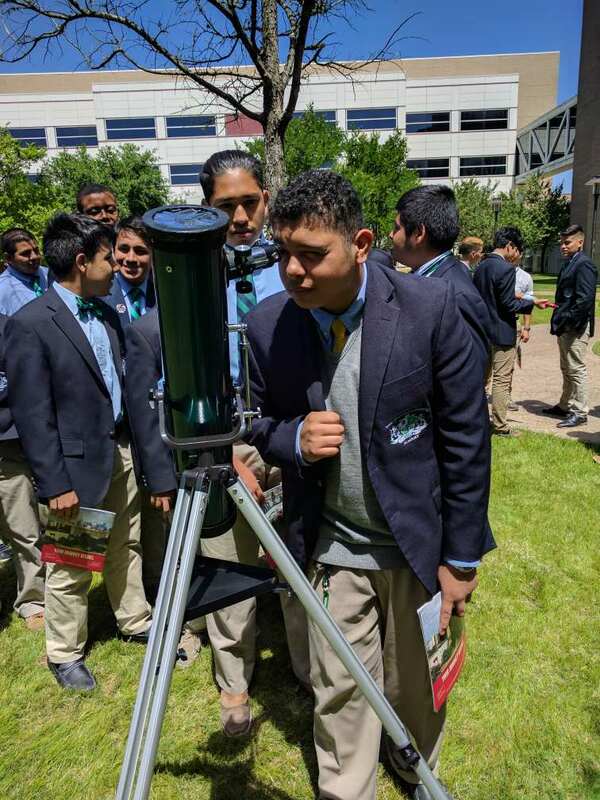 MLCPA is a magnet school in the Houston Independent School District (HISD) currently serving grades 6-12, offering a high quality, rigorous, education, modeled after single-gender private schools, for a public school fee. MLCPA students not only develop academically, but also foster leadership skills and the ability to make healthy and responsible decisions. The student makeup of MLCPA is extremely diverse with 47 percent of the students being African American, 47 percent being Hispanic, 3 percent being White and 2 percent being Asian. Another interesting statistic is that 74 percent of the enrolled students are considered Economically Disadvantaged. This growing group of uniformed scholars is turning heads all around the country. Most recently, MLCPA ranked second on The Washington Post’s prestigious annual “America’s Most Challenging High Schools” list, which ranks schools by the number of AP classes they offer and the number of seniors who graduate. Dr. Crook, who is the founding principal, helped get the school off the ground after his stint as principal of the historic E. O. Smith Education Center. 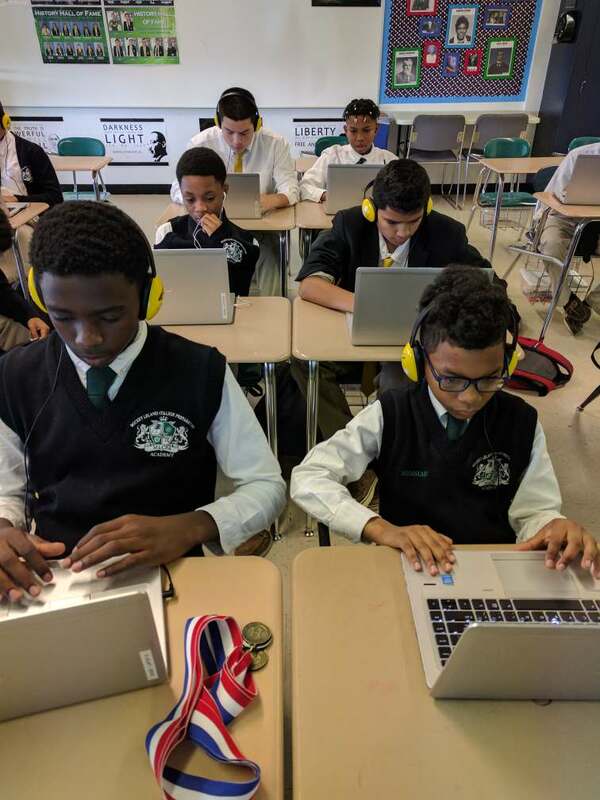 Since the founding of Mickey Leland in 2011, the school has dedicated itself to Dr. Crook’s vision of a single-gender secondary school that not only academically prepares young men for college, but builds their leadership skills and moral character. Though qualities of a school of this caliber are normally reserved for private education, MLCPA is proud to serve a population that’s 74% economically disadvantaged, offering the best and most rigorous education to the most deserving students. Dr. Crook states that selling the idea of a single-gender school for boys wasn’t an easy task, but that many residents and families have seen the benefits and appreciate the concept. Since first opening in 2011, MLCPA has done extremely well academically. In the Class of 2016, 100 percent of the graduates were accepted to a 4-year college or university and received $2.5 million dollars in scholarship monies. The school prepares students for the rigors of college by requiring them to take exclusively Pre-AP and AP courses. MLCPA offers 15 Honors courses (Pre-AP) and 15 AP courses. Enrollment is open to all students and there are no limits on the number of Pre-AP and/or AP courses a student may enroll in each year. All students enrolled in an advanced placement class sit for the AP Test which is paid for by the district. There is no “regular” option, because the school aims to graduate nothing less than exceptional students. Graduates from MLCPA find themselves better prepared and unfazed by common difficulties faced during freshman year of college, such as work load, study skills, and assignments that require a high-level of critical thinking. All MLCPA students graduate with the Distinguished Level of Achievement on the Foundations High School Program. The plan requires 26 credits and a choice of endorsement, with options such as STEM (Math, Science and Robotics), Multidisciplinary (Advanced Placement) and Business/Industry (Computer Programming). 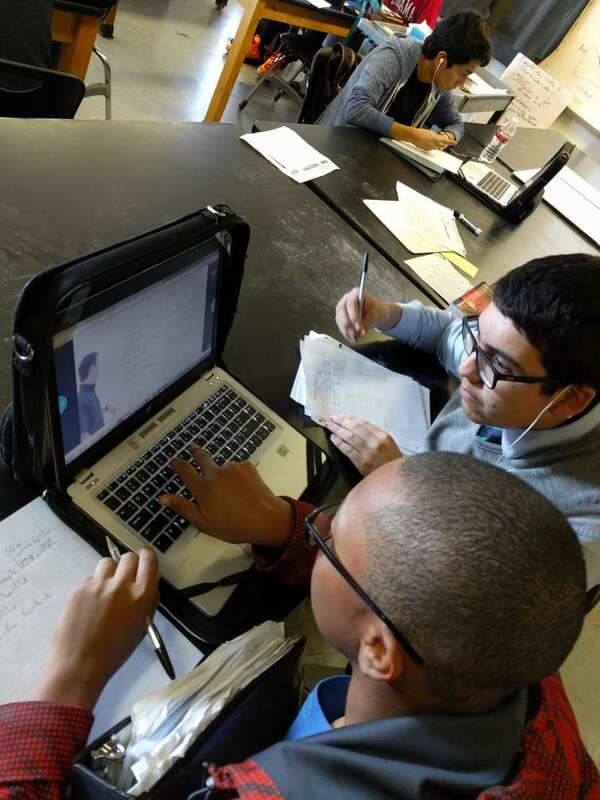 In the next school year, MLCPA will be the first HISD campus to offer CPE for all, with every student taking computer science classes. MLCPA aims not only for its students to excel academically, but to find their intellectual home in the world. Each student at MLCPA works exclusively with community partners to provide students of all backgrounds with the opportunity to explore a wide range of enrichment programs, helping them to develop skills critical for their college and career experience. MLCPA high school scholars participate in a wide variety of once-in-a-lifetime summer educational opportunities all over the country and world, from Rice University to New York, and all the way to Japan. The MLCPA team aims to provide numerous fundraising opportunities to ensure that each student is able to attend the programs they are accepted into. “The Discover U Program on our campus gave me the confidence and push I needed to get accepted into the program and take advantage of this exciting opportunity,” says Cameron Alonso, an MLCPA junior who traveled to Madrid, Spain, with CIEE Language and Culture to study Spanish. MLCPA’s extra-curricular activities are diverse and numerous. Their award-winning robotics team regularly competes in FIRST’s FTC and FRC competitions around the nation and was recently ranked 16th in the state. In UIL, students compete in areas such as math, calculator applications, number sense, and science. Aside from academic activities, MLCPA’s athletics program shines, earning the champion title in 7th and 8th grade cross country and 7th and 8th grade basketball, as well being named the 1st tournament winner for 7th and 8th grade baseball. The athletics program plans to see a big expansion with the state-of-the-art building, which will provide space for the athletes to practice hard and become the best that they can be. An HISD bond worth $42,402,000 was awarded to MLCPA for the construction of their new campus, located at 1701 Bringhurst in Houston’s Fifth Ward. The campus will accommodate 900-1000 students, which will be a welcome change for MLCPA’s growing population of scholars. In its short history, MLCPA has achieved in abundance and has earned a reputation as a beacon for young men with bright minds. With the ever-increasing interest in the programs being offered at MLCPA, coupled with the christening of their new building, big things appear to be on the horizon for the Mickey Leland College Preparatory Academy for Young Men.